ColorPrint PU Stretch is a thin & stretchable print and cut material. Looking to create stretchable full-color graphics from your Eco-Solvent or Solvent based printer/cutter? ColorPrint PU Stretch is the answer to your needs! It's thin enough to provide a great hand and stretchable enough for most performance wear. 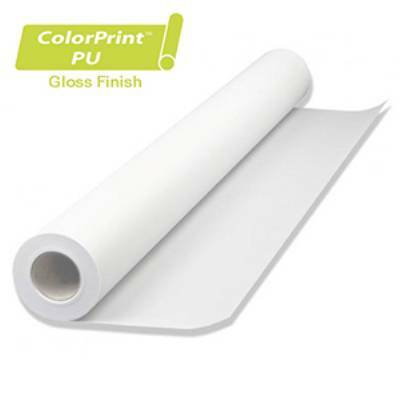 ColorPrint PU Stretch is great because it doesn't require any dry time before masking! Print, cut, mask, and press! It's that simple to use! ColorPrint PU Stretch is CPSIA Certified for use on children's clothing! •	*When printing heavy saturation ink, allow to dry for 1 hour before cutting.